This image of Eros, taken from the NEAR Shoemaker spacecraft on May 2, 2000, from an orbital altitude of 52 kilometers (32 miles), shows a view toward Eros' horizon. 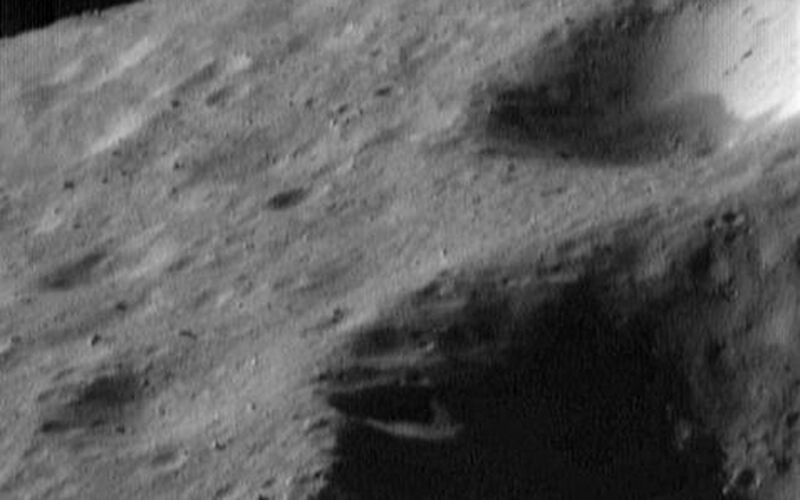 The section shown is about 1.8 kilometers (1.1 miles) across. 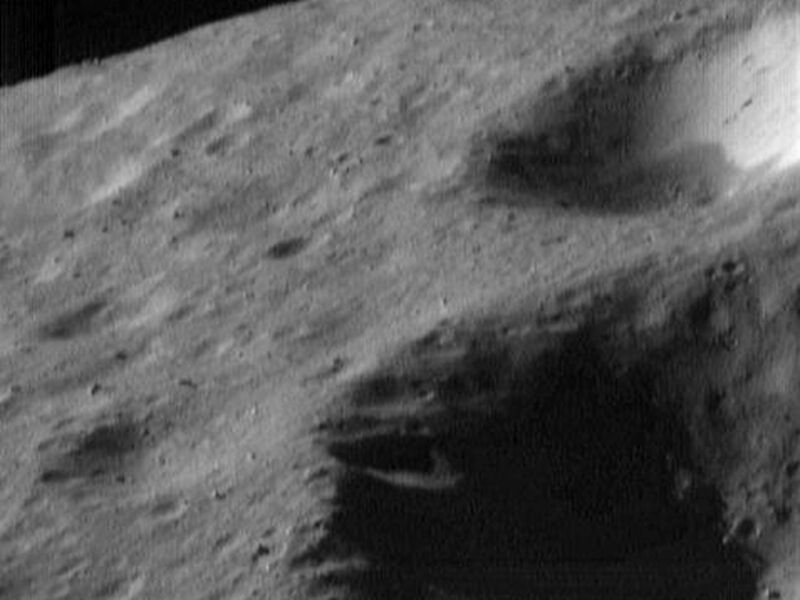 This particular view provides a snapshot of three of the most common types of features seen on the asteroid: craters whose rims have been rounded by erosion due to smaller impacts and blanketing by the impact debris, or regolith (impact debris); variations in the brightness of material on the walls of the craters; and a scattering of boulders ranging in size from nearly 100 meters (328 feet) down to about 8 meters (26 feet).